Revisit Sand Park Arkuma Land this week! The [Cool Breeze] Summer Vacation Gene chip is available for a limited time! Check out the esGuide for more details. During the campaign period, players who login with a Lv.60+ Character will receive 1 AC Scratch Ticket each day. Login every day during the campaign for a total of 30 AC Scratch Tickets! ※Even if you are friends with multiple [Returning Players], only one present set can be obtained. 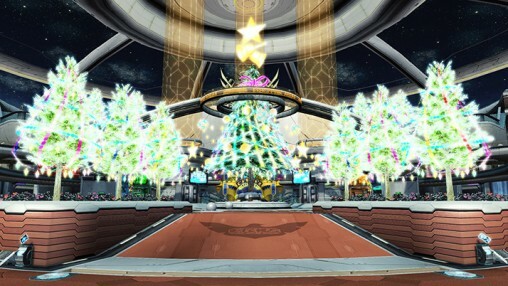 To celebrate the start of PSO2es Season 3, players who clear the second episode, [闇の行く先], of Season 3 Chapter 1 will be rewarded with Conqueror’s Crests! During the campaign period, partying with other players in [Cloud Shared] blocks will grant you a Cloud Party Boost. ARKS Rappies will appear on PSO2 Day. Players who defeat them have the chance to receive an [Arks Rappy Suit Mini] and equipment with the special ability [Arks Fever]. Arks Rappies (Lv.71+) can also drop the ★13 Rappy Egg! Goals 1, 2, 3, 4, and 5 rewards will be distributed instantly.